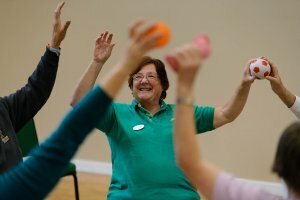 Age UK volunteers support people to be active. Register as a volunteer within Derbyshire by entering your details below to create your volunteering profile. From here you can link yourself to your club or group. You can then choose to receive e-newsletters throughout the year updating you on volunteering opportunities and training.